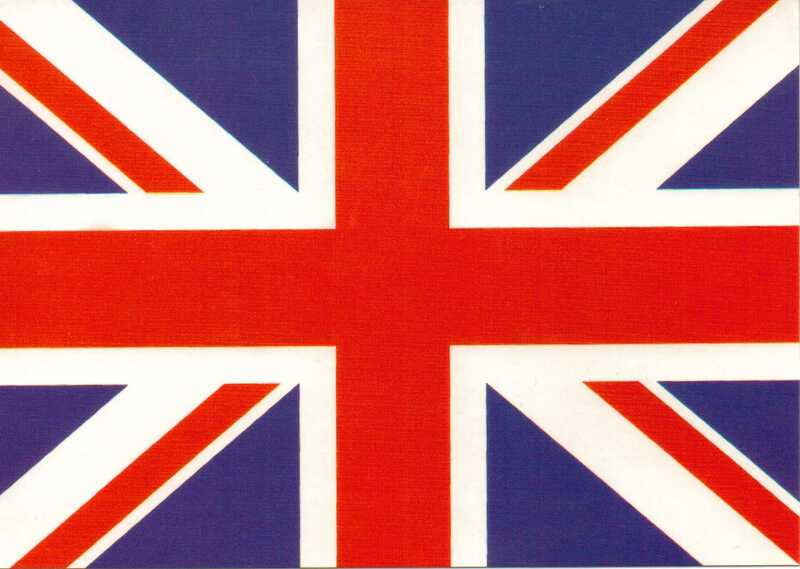 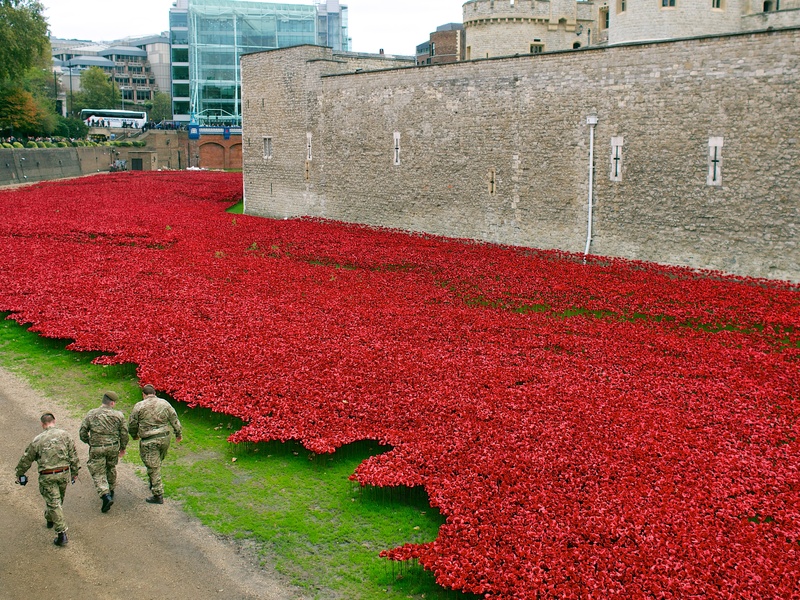 This is a wonderful way to remember the fallen. 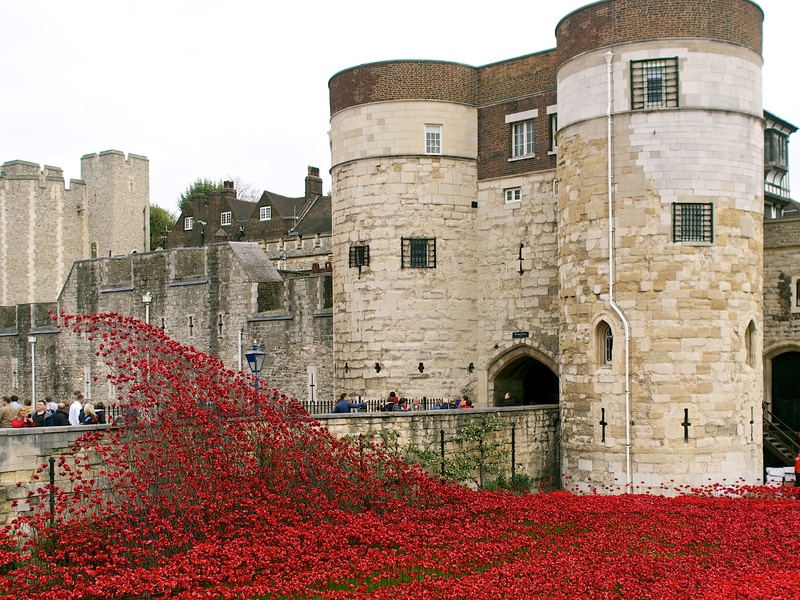 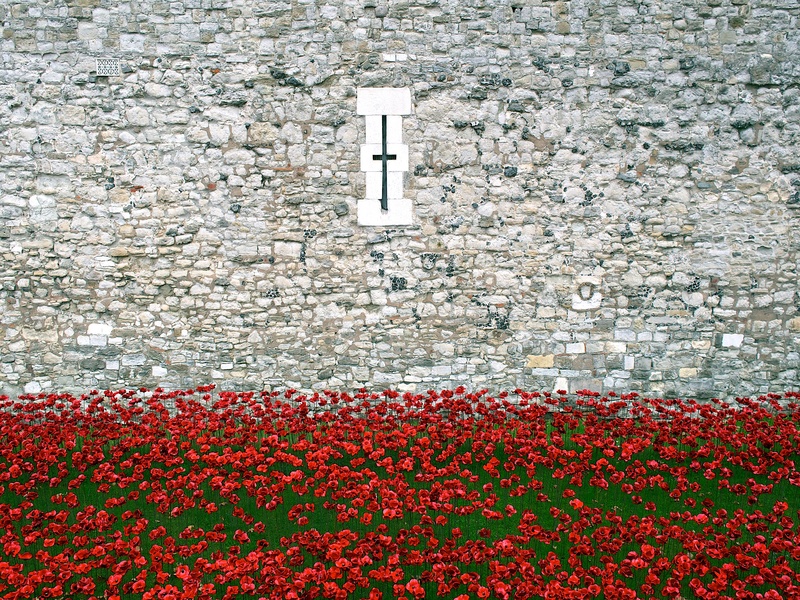 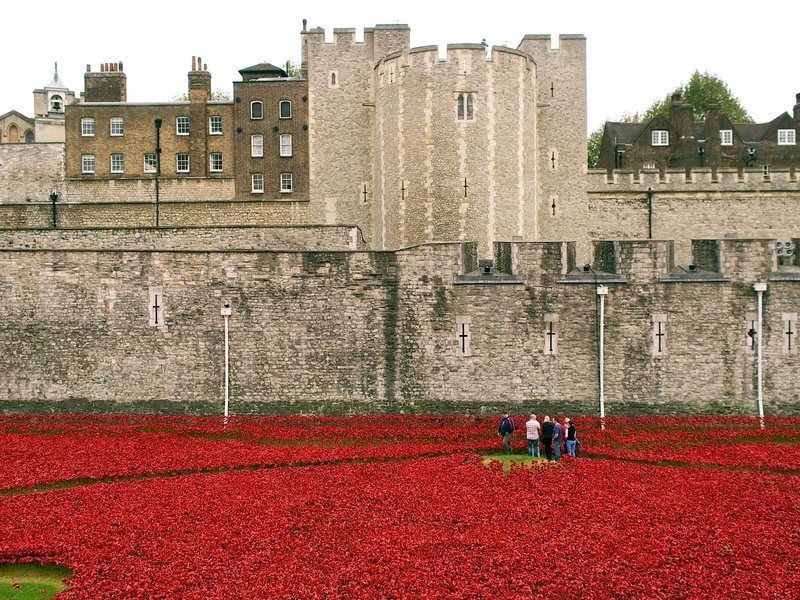 The Tower Of London is currently awash with porcelain poppies as part of a World War I memorial. 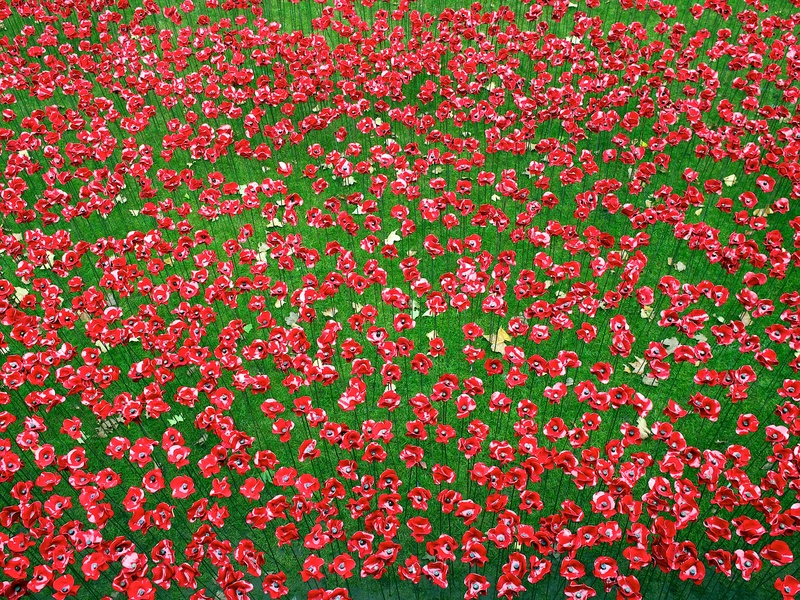 Each poppy represents a soldier who died during the war. 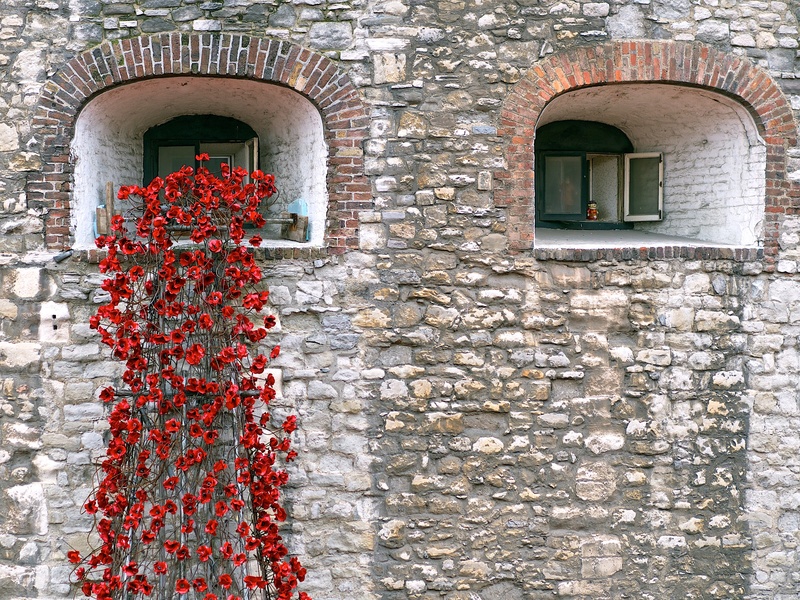 It’s an impressive sight, with the poppies spilling out of a window and pooling fully around the Tower walls.